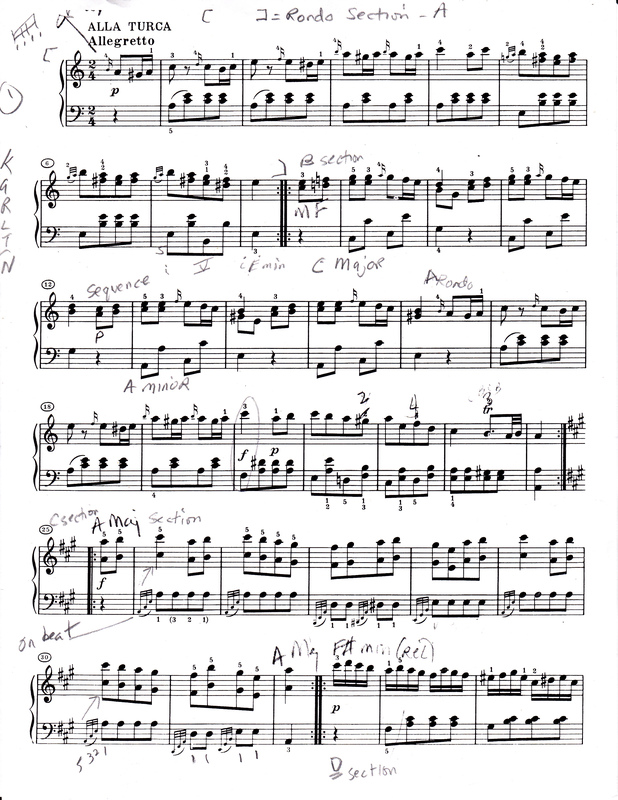 I find the whole movement to be innovative in this tonal dimension where the composer saturates the listener with the recurring “A” Minor Rondo (A) section, then teases with the parallel “A” Major interludes and other tonal escapades before he finally settles into “A” MAJOR. Although the opening KEY signature is A Minor, the movement transforms to “A” Major and stays there for more than a page. 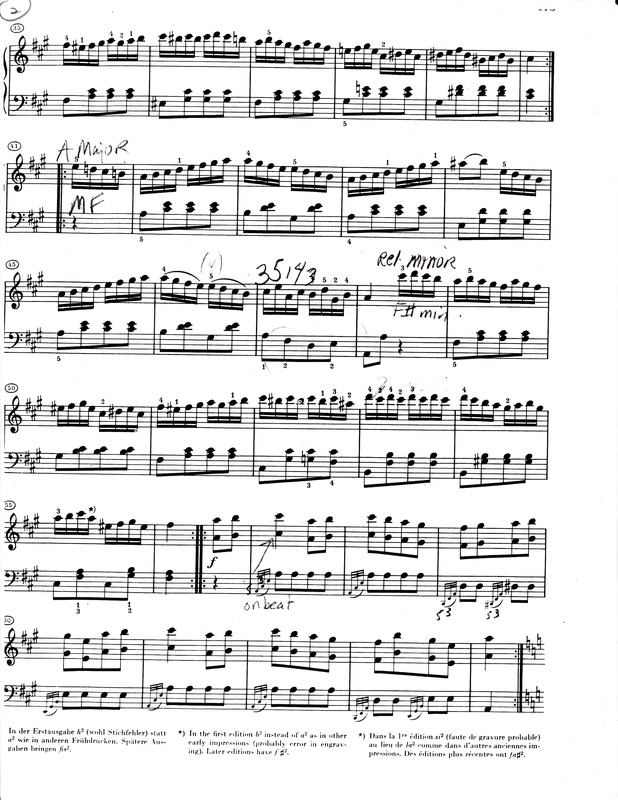 And if you count in the Coda, “A” Major endures for greater than two full pages leading to the final cadence. 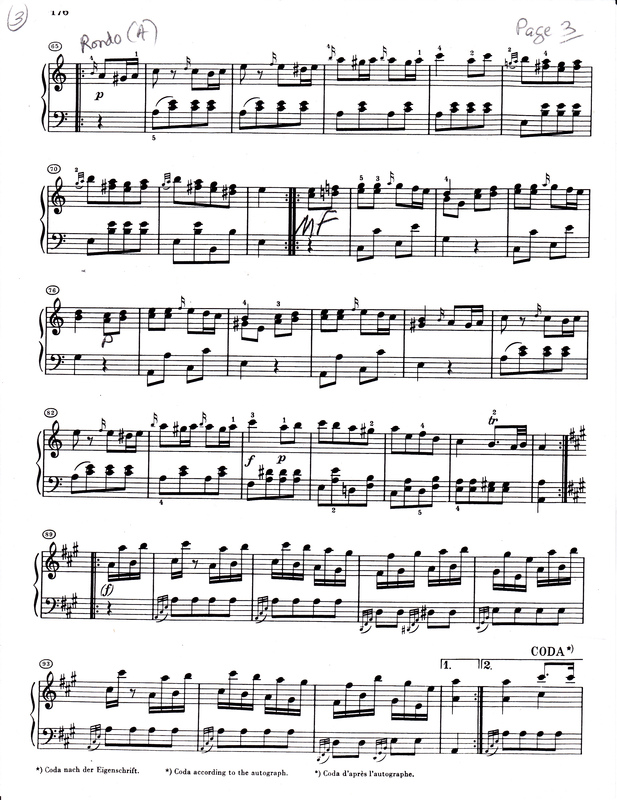 In teaching this first section, I emphasize the shape and contour of the opening phrase, it’s motive, or capsulized musical idea, (having an upbeat configuration) and the need for a rolling motion. Thank you for this tutorial. 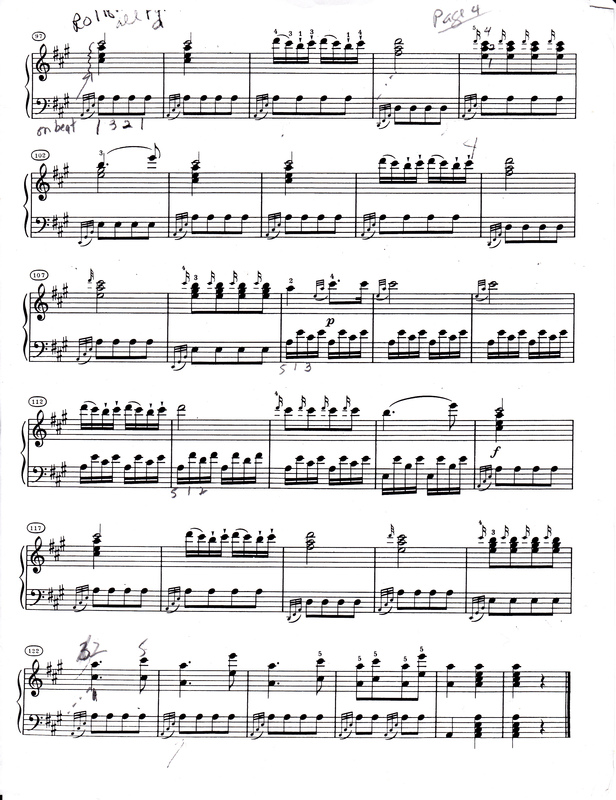 I am a late returner to the piano. I might have bitten off more than I can chew with this one! I’ll give it a try though. Thank you for the guidance. I was REALLY impressed with your play through by the way!